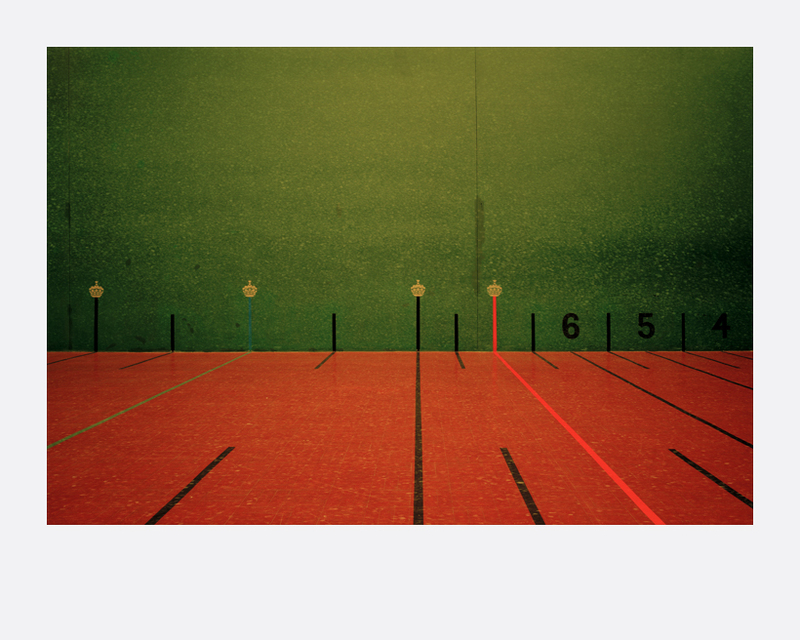 “Courts” examines the representation of enclosed space through an interesting examination of sporting courts. Much like a gallery space is missed with the artwork at the front, the sporting areas are missed to the play of the sport. ￼The courts have one single purpose, which is to be used for sports. However, the images reveal another facet of these sports courts. The images will create new experiences for the audience to explore, revealing the un-noticed and un-exposed. To Wilcox, his research behind each court and the actual process of making each image is equally important to the production of the final product. 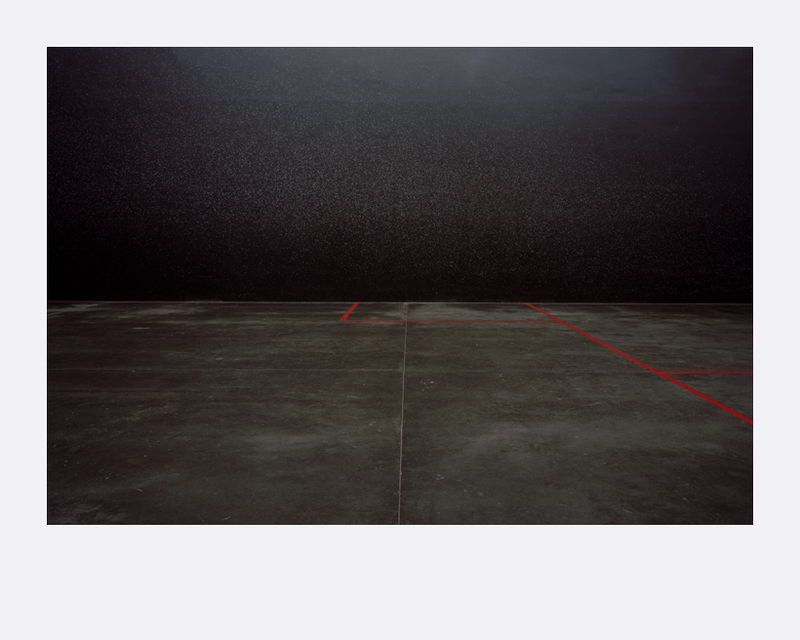 Using large format, the images depicting the outermost detail of the court allows the space to be revealed to the viewer in its full stature. The image picks up subtleties and marks that often go unnoticed; the marks become more than just ball marks. 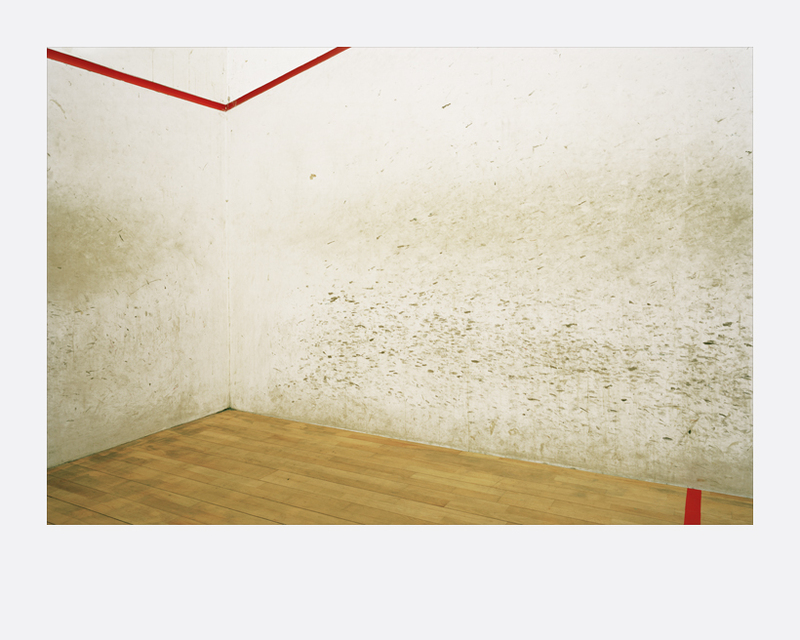 Bloodstains and scratches become increasingly vivid, forcing the audience to look at it introspectively rather than it just being a sports court. Wilcox invites us to think beyond the physical and functional aspects of a sports court by inviting abstract elements in his images. Born in Southampton, Elliott Wilcox was introduced to photography by his father, a sports photographer. Wilcox decided to carry on with his passion by studying photographic art at university. Having completed his studies, he is now looking for opportunities to pursue and develop his photography skills.